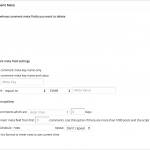 This addon adds the ability to delete comment meta fields (that are stored in the wp_commentmeta table) based on the meta value. 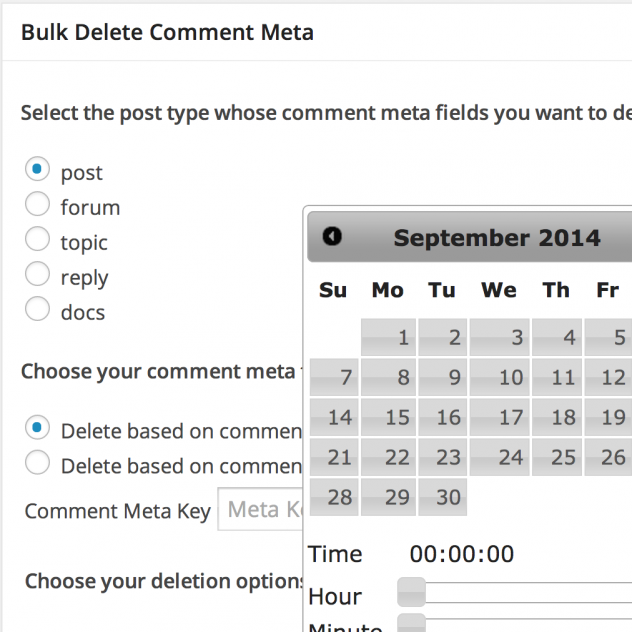 The free version of Bulk Delete plugin allows you to delete comment meta fields based on meta key alone, but this addon adds the ability to delete the meta fields based on both meta key and value. 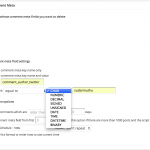 In addition to that, this addon also allows you to schedule automatic deletion of comment meta fields. 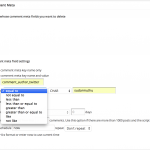 You can delete comment meta fields based on the following filters. Delete all meta fields whose value matches the given value. The following comparison operators are supported. 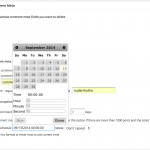 The meta fields can be deleted immediately or can be scheduled for automatic deletion. This addon requires at least v5.4 or above of Bulk Delete plugin.